David Cramer and I write to inform you that, after a highly competitive search which attracted many strong candidates, Tamara Black has been selected as the next Elementary School Principal at American International School of Zagreb, Croatia. Tammy comes to this role after serving as Elementary Associate Principal at the American School of Dubai, where she has served since 2013. In that role, Tammy has managed day-to-day school operations for 378 students in grades three, four and five; collaborated with teaching teams on curriculum planning and implementation; guided the use of assessments and data to inform instruction; and recruited, supervised and supported the professional growth of faculty and staff. This experience has prepared her well for her new role at AISZ. Tammy’s approach to education is firmly grounded in constructivism and the belief that all children have inherent intelligences and can learn. After earning a B.S.Ed. in elementary education, she began her career as an elementary classroom teacher for first and fifth grades. Her experience earning a M.Ed. from Harvard University with Howard Gardner as her advisor had the most significant impact on her thinking and practice. Prior to her current position as Elementary Associate Principal at American School of Dubai, Tammy worked with non-profit organizations and corporations on educational technology initiatives, served as Director of Technology and Director of Communications at an independent school in the US, and directed the communications program at Singapore American School. Common across all of her experiences has been her desire to continue developing her understanding of how children learn best and a keen interest in exploring how we prepare children to be successful in the future, especially as it relates to innovation and technology. Tammy has worked closely with our colleague Brent Mutsch over the years, and I know he joins David and me in congratulating AISZ in a choice well made! We at the American International School of Zagreb (AISZ) believe that learning is a process that leads to a sustained and demonstrable consolidation or extension of conceptual understandings, competencies and character. Each child comes to us with her or his own particular strengths, personalities and passions. We see each of them as a ‘story of possibility’, filled with promise. We build on that promise, working together to develop them into highly educated learning experts. As we map their learning journeys, we show them exceptional care, making sure that every student is known, challenged and supported. By personalising their learning we work towards realizing the futures our children imagine for themselves. We believe that each one of those futures can be truly extraordinary. Our school develops the dispositions of positive global citizens. By holding high expectations of ethical, empathetic, service minded, concerned, committed, and resilient actions, our students value and demonstrate fairness, compassion and integrity. The environment is balanced and enjoyable where learning is fun. The culture of our school will allow all our students to become experts in their own learning by pursuing expertise in all we do. This is a never ending journey of building on past knowledge and experience; with practice, reiteration and application found in the work of our adults and students alike. We extend to our students extraordinary care where all students are known, advocated for and supported. Where they feel safe to strive and have fun learning. Through a commitment to inquiry and constructivist learning, all students personalize their learning and pursue dreams. We believe that with competence, imagination and creativity the impossible may in fact be possible and that students’ ideas of themselves can be transformed as they learn more about themselves as learners and capabilities. We can all learn and have a right to do so. Learning is a personal and social, as well as a cognitive and emotional activity. Transfer of learning happens best in rich and relevant contexts. Learning environments have a significant impact on our learning. Common learning cultures need to construct common meaning through common language. We are currently “re-visioning” our school, looking back through the lens of Appreciative Inquiry to harness the best of our 52 year history and use these elements to shape and frame the learning culture of our future focused school. From August 2018, we transition to our new building, hopeful of retaining the essence and values of our small community school. AISZ is part of a rapidly growing collaborative conversation around learning and the structure of learning using the framework and network of the Common Ground Collaborative. AISZ is an English-language day school offering an constructivist-based American curriculum, pre-kindergarten to grade 12, for expatriate families and internationally minded Croatian nationals who seek a comprehensive, contemporary, international standards-based curriculum. We are an independent, non-profit, coeducational day school operating under the policies and bylaws of a seven-member Board chaired by the Deputy Chief of Mission of the US Embassy. The American International School of Zagreb was founded in 1966 and opened in a villa to serve a small number of expatriate families. As we grew, the school has moved six times through a number of villas and a rented wing of a Catholic Seminary where we are currently located. 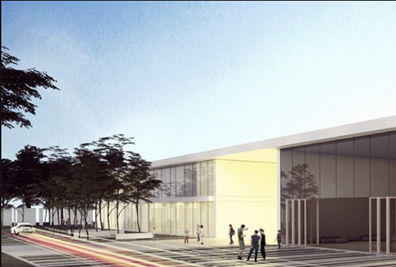 In August 2018, our purpose built, A+ energy rated campus will open with an increased capacity for 480 students. Currently our school is redefining all it does as a result of a Community Summit held in March 2017. We are examining our Mission, Vision and Values and building a school culture that is based upon students becoming experts in their own learning within a culture of extraordinary care where the imagined can become possible. We do this through building capacity in conceptual understanding, competencies and character of each of our learners - large and small. The final years of learning at AISZ are focused upon the requirements of the IB Diploma, but we view our students’ learning continuum to reach well beyond the syllabus and exam requirements of the IBDP. We are equipping students with the dispositions character and competencies to be future ready and resilient and ready for change. Our students represent 25 nationalities of which 25% are Croatian, 19% American and the rest from 23 different countries, creating a truly international context. The Lower School (Pre-Kindergarten to Grade 5) has 120 students and is 47% of our entire student body. Our Community can be roughly categorised in thirds. Approximately 33% of our families are either sponsored by diplomatic missions, corporations and business or independent work. Zagreb over the last five years has become an international tourist destination in its own right. Previously the focus of this was on the outstanding beauty of the Croatian coast, but more recently Zagreb has grown into its own as a destination of value, winning the Best European Christmas Markets twice in succession and becoming Lonely Planet’s Number One destination to visit in Europe in 2017. The city is rich with festivals, the arts, food and wine and parklands. The natural beauty of Croatia is a beacon for outdoor enthusiasts and those who embrace an active lifestyle, as well as those seeking art, cultural and culinary activities. Zagreb and Croatia in general offer wonderful opportunities for holidays in mountains, forests, coastline and islands with world class sailing available. The cost of living in Croatia is significantly less than other areas of Europe. The AISZ has 47 diverse faculty coming from 10 countries. Highly experienced expatriate teachers make up slightly more than than half of the teaching faculty with highly experienced Croatian teachers and Educational Assistants contributing significantly to our learning community. Twenty-four faculty and Educational Assistants are responsible for the learning in the Lower School under the direction of the Lower School Principal. Expatriate faculty are housed in the local community nearby the school as part of their compensation package. 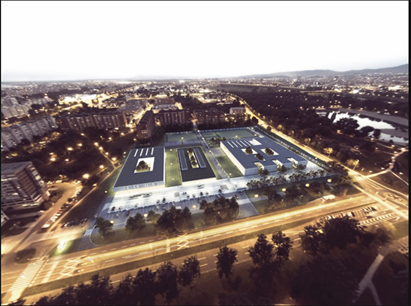 The American International School of Zagreb is currently constructing a new campus in the centre of Zagreb with a capacity for 480 students. It is contemporary open plan glass design and is itself a work of art. The building is A+ energy rated with a green roof and large internal atriums to bring the outside environment into each classroom. 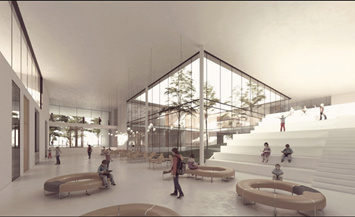 The school design incorporates the values encapsulated by our Learning Principles. It is our belief, similar to the Reggio Emilia philosophy, that the classroom is ‘the third teacher’ and that the impact of space and flow of thought and learning is as real for high school students as it is for Early Childhood. 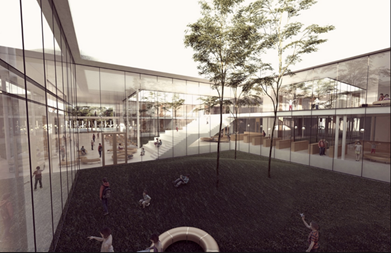 The new campus hosts a Reggio Emilia inspired Early Childhood Centre, Lower and Upper School libraries, makerspaces, dance studio, theater and black box complete with recording studio and practice rooms, 2 art rooms, 3 science labs, a gymnasium, climbing wall and fitness centre. Outside there is a soccer pitch, European handball court, four multi-courts for tennis and other racquet sports and a general play area. 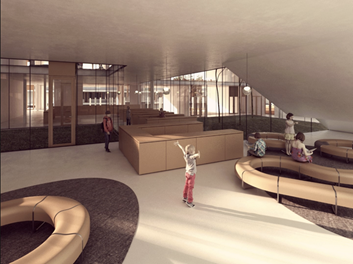 The Early Childhood center will have a designated adventure playground based on the same Reggio Emilia philosophy. Across the road from the school is a beautiful public park with pathways for inline skating and running, cycling, and an adventure playground, all providing a superb environment for fitness. Reflectiveness: being ready, willing and able to become more strategic about learning. Meta-Learning: Being aware, and taking control of one's own learning. Having an awareness and understanding of the phenomenon of learning itself as opposed to subject knowledge. Planning: Working out learning in advance and a strong ability to plan effectively. Distilling:The ability to distil information in order to extract the essential meaning or most important aspects. Revising: The ability to reconsider and alter practice or beliefs in the light of further evidence. Reciprocity: being ready, willing and able to learn alone and with others. Interdependence: The ability and desire to work interdependently. Collaboration: Highly developed collaboration skills. Empathy: A high degree of empathy and the ability to actively listen. Imitation: The ability to recognise and imitate exemplars of practice and pick up others’ habits and values. Resourcefulness: being ready, willing and able to learn in different ways. Questioning: The ability and desire to inquire and seek answers. Making Links: The capacity to recognise connections and make links to previous knowledge, concepts, practice and understandings in order to generate new ways of working. Imagining: Being able to imagine a changed state and the multitude of hypotheses that can be generated from which to select a course of action or mentally rehearse something new. Reasoning: Thinking rigorously and methodically. Capitalising: The ability to make good use of resources. Resilience: being ready, willing and able to lock on to learning. Absorption: The ability and desire to be rapt in learning; to be absorbed in one’s own learning / work and to bring this “flow” to teaching students. Managing Distractions: A strong capacity to manage distractions and set priorities. Perseverance: The ability to persevere as learning happens and recognising that learning can be hard work. The Lower School Principal is the learning leader of the school from Pre-Kindergarten to Grade 5, and a member of the school’s Leadership Team, reporting directly to the School Director, Mr. Paul Buckley. Collaborating with the Lower School Principal and Director on the leadership team are the Business and Operations Manager, the Upper School Principal, the Manager of Information Systems and the Human Resource Manager. The Lower School Principal is charged with managing the daily operations of the Lower School division, providing leadership in assessment and the development of the AISZ learning ecosystem. The Lower School Principal is responsible for developing a collaborative, innovative, and nurturing environment for staff and students; promoting respect among staff, students and parents; assigning, scheduling, supervising, and evaluating school faculty and staff; and representing the school positively within the broader school community. The successful candidate must be energetic, well versed in constructivist educational pedagogy, experienced in teaching, and leading instruction in an accredited international school. Wide experience in leading and coaching inquiry education supported by life worthy standards is a requirement. The candidate must be able to inspire confidence in his or her faculty, and be fulfilled by working closely with students in their activities and day-to-day life at AISZ. The successful candidate will personify and model the AISZ Learning Principles and our teacher / learner dispositions. AISZ offers a highly competitive compensation package for this position in a country with no income tax. AISZ has retained Search Associates to facilitate this search, with David Cramer and Bridget McNamer serving as the co-consultants. Note: The search committee reserves the right to close the selection process at any time should the right candidate be found. over 30-year career as an educator has involved working in Canada, Europe, and Asia.